In early 2014, U2 announced that they would be releasing a track free during the Super Bowl, with one dollar being donated by the Bank of America to Product (RED) for each download. After the 24 hour initial free download period ended, the song continued to be available in the iTunes store, and started to appear in other digital marketplaces. All proceeds still go to Product (RED). The song was matched with a full length video shot by Mark Romanek. On top of the promotion through the Super Bowl advertisement, the release of a music video through iTunes, and giving the song away for free for 24 hours, there were also a number of promotional CDs pressed for promotion of the song. Most of these were aimed at the European market, where there would be far less exposure to the Super Bowl, or the efforts of the Bank of America. Promotional CDs were released in the UK, for Europe in general, for France, and there was also a release in Japan. In the UK, the release was in a card sleeve, and the CD contains a similar image to the cover of the card sleeve. In France, the single was released in a card sleeve, and the CD was a simple CDR with information printed on the shiny face. In Japan, the release was again in a slimline jewel case, and the CD was white in colour, but this time there was a red bar across the top of the CD with “U2” listed in white on the bar. 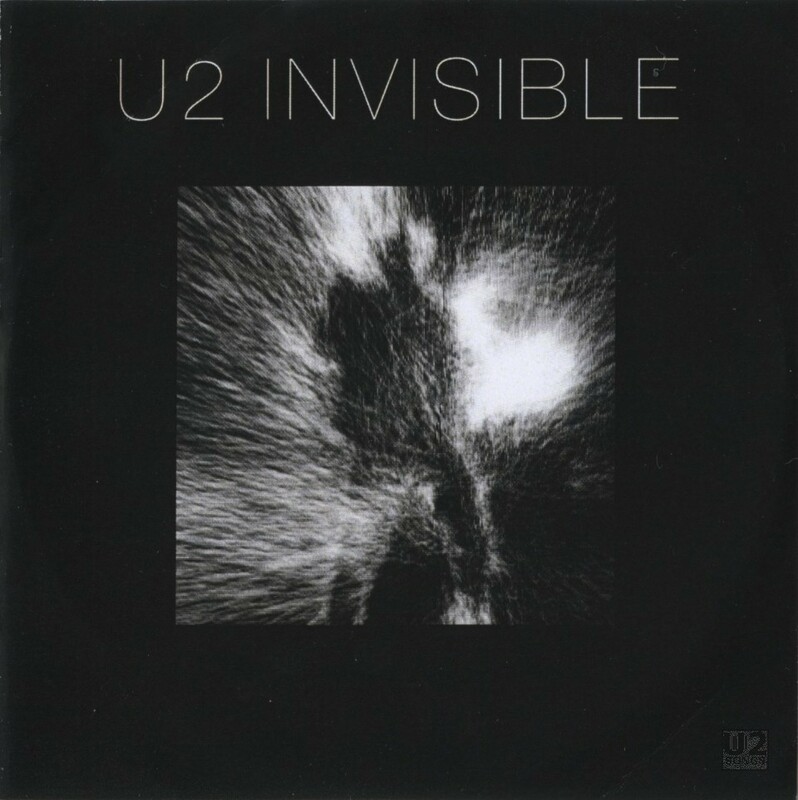 In all cases the track included is listed as “Invisible (RED) Edit”. As many copies were circulated for free, and with many radio stations opting for digital promotional downloads rather than receiving a disc, all of these versions of the promotional single are quite difficult to track down. There was a version of this release in a slimline jewel case, and contained a CD that was white in colour with no image. The CD had markings of Biem Stemra or Biem Sterma on the CD, suggesting it was made in the Netherlands. This is actually a fake CD, and they originated in the UK. This is not an authentic release. Written by U2 and Brian Burton. Music by U2. Lyrics by Bono. Vocals by Bono. Guitar, Backing Vocals, and CP80 by The Edge. Bass by Adam Clayton. Drums and Percussion by Larry Mullen Jr. Synths and Programming by Danger Mouse and Declan Gaffney. Produced by Danger Mouse. Mixed by Tom Elmhirst. Assistant by Ben Baptie. Recorded by Declan Gaffney. Additional Recording by Kenne Takahashi. Assisted by “Classy” Joe Visciano. Mastered by Scott Sedillo at Bernie Grundman Mastering.